The time has come to announce the first round of selected photographers from this year’s Hariban Award competition! We received almost twice as many submissions as last year from photographers all around the globe, each one contributing to a highly talented and promising pool of entrants. Picking and choosing the work that will benefit most from a relationship with Benrido and the collotype process was no easy task. Explore the first round of selections below! It has been incredibly rewarding and exciting to review the large volume of submissions that we received this year from all around the globe. In selecting the first round of photographers for the 2015 Hariban Award, I kept a number of criteria in mind. First and foremost, I am interested in a marriage of form and content. I chose work that was not just descriptive but also formally suited for the collotype process. In addition, the selected photographs have a clear interpretation of the photographers world view. I chose work that offered me an invitation into that world. Black and white can be a very personal and expressive medium, and I enjoy work that explores those possibilities furthest. I believe this group of photographers presents a strong potential for collaboration with the Benrido Atelier and look forward to the remainder of the process. The winners, announced in August, will be chosen from these names. 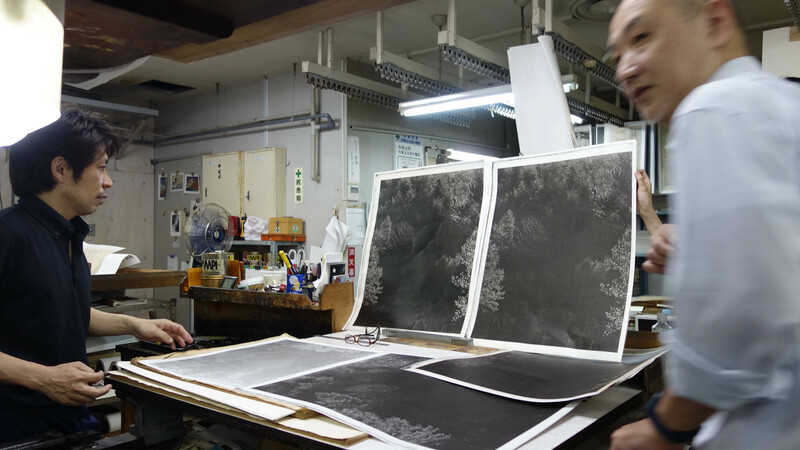 The panel of jurors consists of Michael Hoppen, Amanda Maddox, Lucille Reyboz, and Tsuyoshi Ito, each a distinguished member of the international photography community. To receive the latest update, sign up for Hariban Award newsletters. Sign up for latest updates from Benrido on Hariban Award ’15.